Mural Fact! – The elephant in the Mural is featured because the skeleton of a mammoth was found at Upnor, and this was illustrated in one of H.G.Wells books “The Outline Of History” and nicknamed “The Chatham Elephant”. People in Medway are being called upon to help create a new mural on Chatham High Street. The colourful mural shows the visual story of Medway through images of past, present and future. People in the local community helped the artist, Richard Jeferies, to come up with ideas for images to be included in the mural. Amongst the painting will be a mammoth, relating to the 1920s find of a mammoth skeleton at Upnor, later illustrated as the Chatham Elephant in the H.G Wells book “The Outline of History”. Also included in the mural is the H.M.S Victory, famously built at Chatham dockyard, as well as a collage of artwok relating to local festivals. The painting starts on the 27th of July, and will continue for 2 weeks, excluding Sundays. All are welcome to come along and join in with the painting on-site, young or old, any ability. You can come for 5 minutes or all day, any amount of time you can spare. Please make sure that you wear old clothes, and please do not leave under 16’s unsupervised. Also if you are a local band, musician, entertainer, choir or performer and would like the opportunity to come along and entertain the painters, then you are very welcome on any of the painting days. The mural site is next to Homestyle 206/206A Chatham High Street. 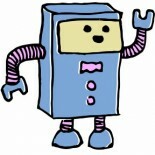 For further information please email natasha@creatabot.co.uk or comment below. Sat 10th Aug 12noon – The Big Reveal! The Chatham Mural project has been commissioned by the Developing Neighbourhood Approach (DNA) through Medway Council. 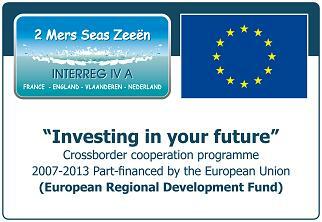 DNA is co-funded by the Developing Neighbourhoods Approach project of the Interreg IVA 2 Seas Programme and the European Regional Development Fund. The Programme enables cross-border participation in projects that help local residents to improve quality of life by empowering them to make changes in their communities in economic and social areas and environmental improvements. Locally the project focusses in the areas of Chatham central and Luton but is also being implemented in 3 other cities in Europe, Breda in the Netherlands, Kortrijk and Antwerp in Belgium.